Posted on 20th November 2018 at 1:04 pm. Getting outside into the garden should be a privilege that everyone can enjoy, regardless of age or physical ability. 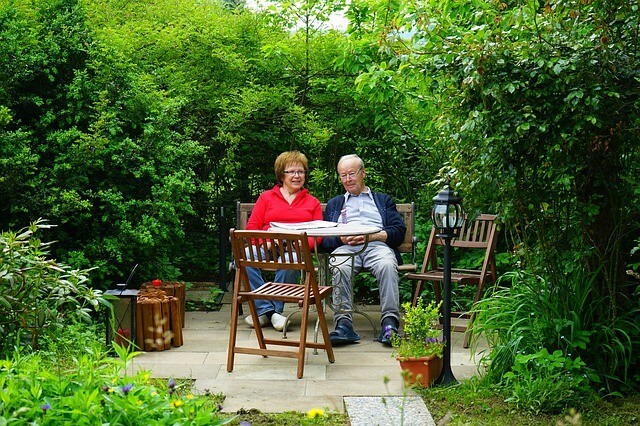 With proper planning and a little imagination, you can convert virtually any garden into a more accessible outdoor space for older people or those living with a disability. In our latest article we’re looking at ways in which you can convert a garden into a safer and more user-friendly environment. Some of these ideas are easy to implement at very little expense, too, so you don’t necessarily need a huge budget to create a more accessible outdoor space. Let’s begin with our first, and probably most important, tip for making your garden more accessible. Many gardens have steps, which can be difficult for older people or people with disabilities to negotiate. There is a high likelihood that they’ll have to step out of their back door to even access the garden in the first place, and that on its own can be a challenge. To make your garden more accessible, remove steps and replace them with ramps. Ideally, you’ll want a gradient of no more than 1:15. You can either replace it with a simple concrete ramp, which can be constructed by novice DIYers using ballast and cement, and some timber to form shuttering, or you could even build something a little more decorative, and use timber paving slabs or block paving. For even easier access to and from the garden, it is sometimes possible to install a patio at the same height as the threshold. This will make the garden far more accessible as you’ll be able to transition straight from the house into the garden without the level changing. It will also feel like an outdoor extension to the house. You may need to install adequate drainage to ensure that you don’t have any issues with damp getting into the house. We would advise consulting with a hard landscaping expert for the best way to achieve this. One of the things many people do when trying to make a garden more accessible is to do away with the lawn completely. But that’s a real shame, as gardens should have plenty of green in them to soften the look and feel, rather than being faced with the often harsh appearance of hard landscaping. An added bonus is that green has a positive impact on your well-being; according to Verywell Mind, the colour green has a calming effect and is thought to relieve stress and help with healing. 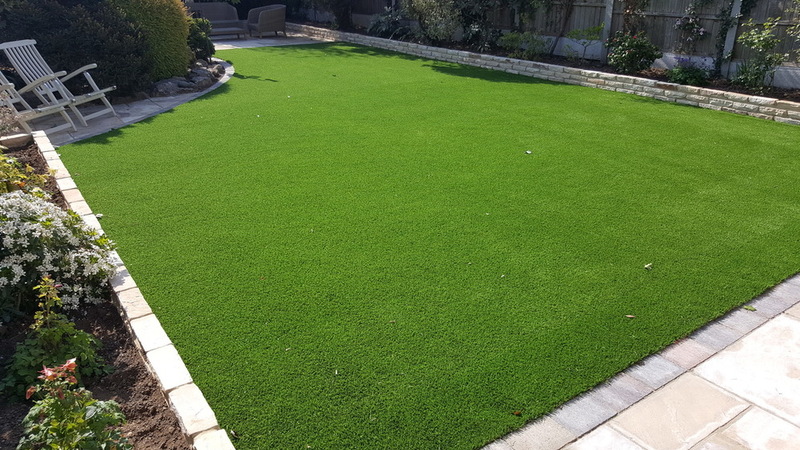 Installing an artificial lawn is a great way to incorporate more green into a garden whilst also making the garden far more accessible and user-friendly. One of the major benefits of installing artificial grass is that it makes the garden lawn accessible for the entire year. The problem with real grass lawns, particularly during autumn and winter, is that the grass is too muddy and boggy to be used. With artificial grass there is no mud or mess, meaning fake lawns can be used just as easily in January as they can in July. This makes the whole garden much more accessible. Artificial turf is non-slip, too, making it a much safer surface to walk on than real grass. Fake grass also requires very little maintenance and, of course, never needs mowing, either. This is a huge advantage for older or disabled people, who may struggle to mow their real grass lawns. If you’re looking to install artificial grass to make your garden more accessible, we’re here to help. Why not request your free samples or speak with your local NeoGrass Approved Installer for a free installation quote? An approved installer can give you lots of tips and advice on choosing the best artificial turf, and they’ll take care of the entire installation process, from start to finish, too. When creating a garden with older or disabled people in mind, creating several different seating areas is a great idea. Most gardens tend to have a patio surrounding the house, but why not consider building a smaller patio in another area of the garden to create an additional seating space? You don’t even necessarily need to build a patio – you could place a bench at the end of an existing pathway. Make sure that there are both shady and sunny areas of the garden that can be utilised as seating areas. Having a nice garden doesn’t necessarily mean that it will demand lots of maintenance time. We’ve already touched upon how you can reduce maintenance by installing artificial grass, but there are lots of other ways in which you can create a low-maintenance garden. You can reduce the amount of work it takes to maintain flower beds by adding bark mulch. Bark mulch helps to supress weeds and also keeps the soil moist, which helps your plants grow. Making use of containers and pots also helps to reduce the amount of maintenance required. Choosing low-maintenance plants and shrubs that practically look after themselves is a great way to keep maintenance to a minimum. We’d also recommend avoiding ponds, which can demand lots of attention. Opt for a simple, low-maintenance water feature, if you still want to incorporate water into the garden. 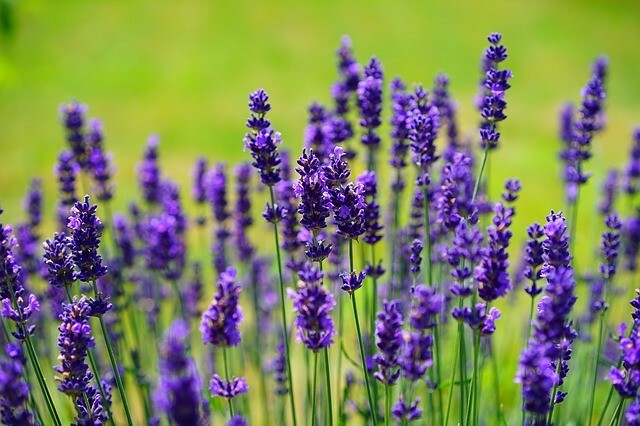 Check out our blog post on ‘8 Ways to Create a Low-Maintenance Garden’ for more tips and ideas for things to do. If you are designing a garden for wheelchair users, you’ll want to make the pathways as wide as possible. We would recommend making them a minimum of 1m wide. 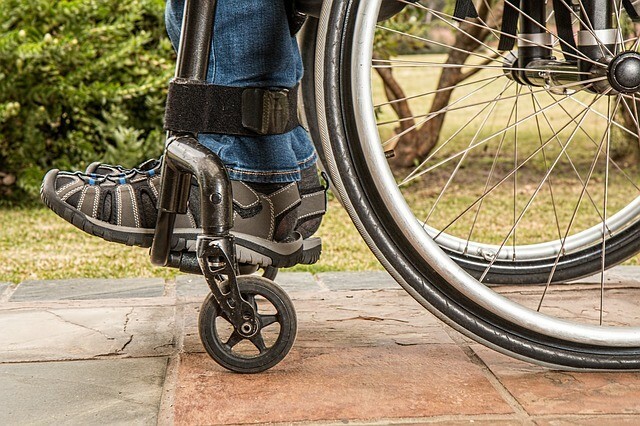 However, if wheelchairs will need to turn on the pathway, you’ll need to make it at least 1.6m for manual wheelchairs or 2.4m for electric wheelchairs, to allow plenty of space for them to turn. You’ll also want to make the surface as smooth as possible, to make it easier for the wheelchair user to move around the garden. Gravel and loose stone should be avoided for pathways in favour of paving or even resin bound gravel. Gardening is an extremely rewarding experience for everyone, and it’s important that those who are physically restricted are still able to get out into the garden and get their hands dirty, too. 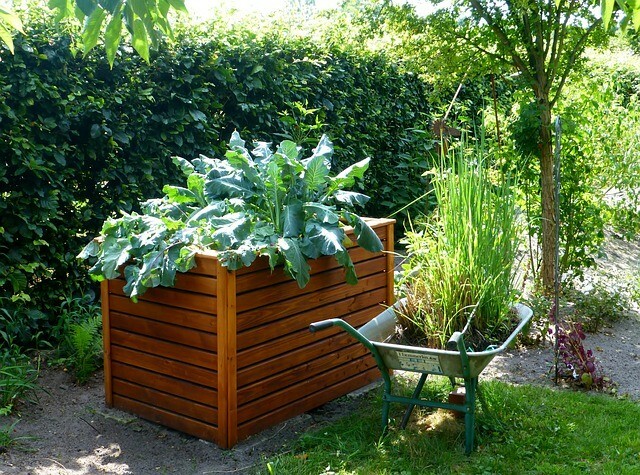 One of the best ways to make plant beds more accessible is to raise them up off the ground. This can be done using sleepers or brickwork to raise the bed to a comfortable height that means people don’t have to bend down to access them. It’s also important to ensure that the beds are not too wide, which would make it difficult to reach across them. This will mean that everyone can still get out into the garden and tend to their favourite plants and shrubs, and enjoy watching nature at work. Creating a user-friendly garden for older people or people with disabilities needn’t be difficult. And you don’t necessarily need to completely redesign your garden, either. Just making a few simple changes can have a big impact and help to make your garden far more accessible for everyone. Getting out into the garden should be something all of us can do, regardless of age or disability. We hope this article has inspired you to make your own or even someone else’s garden more accessible and user-friendly, meaning everyone can enjoy it. 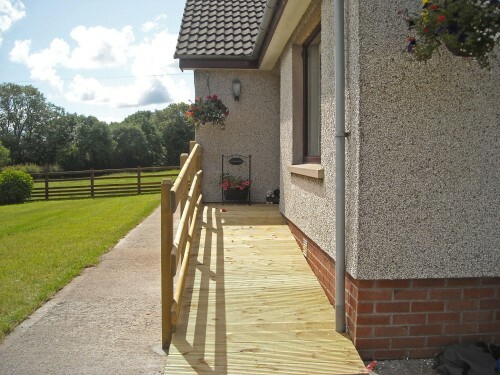 Do you have any other ideas for creating an accessible garden? If so, leave your comments below and join in with the discussion.